The Nokia Sea Ray probably won’t be the only Nokia Windows Phone to launch - a mysterious Nokia Sabre was leaked by none other than Microsoft, but the Sea Ray is the one we know most about. 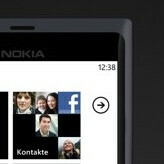 First of all, we know it looks almost exactly like the pillow-shaped Nokia N9, but runs WP Mango instead of MeeGo. Drive safely to your destination with Nokia – including 3D. Windows Mobile 7.5 (Mango) operating system. The only thing that’s puzzling us a bit is the color choice - contrasty black and white doesn’t seem like the best combo for your eyes, but this shouldn’t be too big of a deal even if true as the color scheme should be easily customizable. 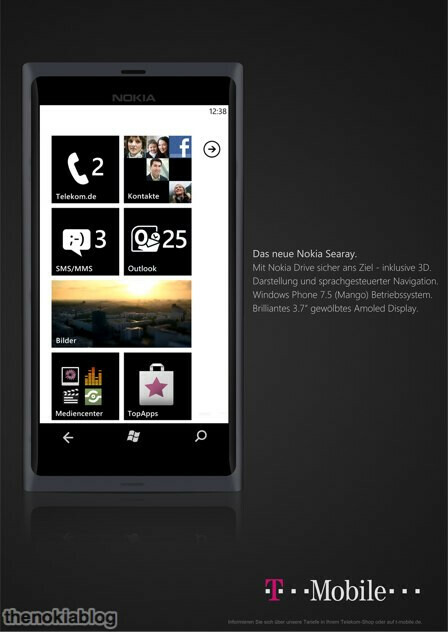 Just recently, we saw a free offline navigation app hit the Windows Phone Marketplace, and while it’s expected to be available on all devices, initially it might be a differentiator for Nokia. Is the Sea Ray the kind of ray Nokia needs to exit the tunnel it has entered recently? On the N9 this curved gorilla glass is fantastic. It has a slightly convex surface curvature that optically lifts the icons so that they appear to float right at the surface of the screen. Quite nice IMHO. I feel bad for them if they are betting the ranch on this thing. I hope it turns out better than it sounds. Great comments i will follow this post with interest. Safety Message - Business and homes should all have a Fire Blanket. Fire Blanketsare great protection against fire. A Fire extinguisher is also important. You can use a Fire extinguisher stand for your fire extinguishers.